With their broad choice of Flake tobaccos, processed in early 20th century original English heatable presses according to traditional methods, DTM DAN TOBACCO MANUFACTURING GMBH have gained a good reputation as producers of high standard tobacco specialities for the discerning pipe smoker. 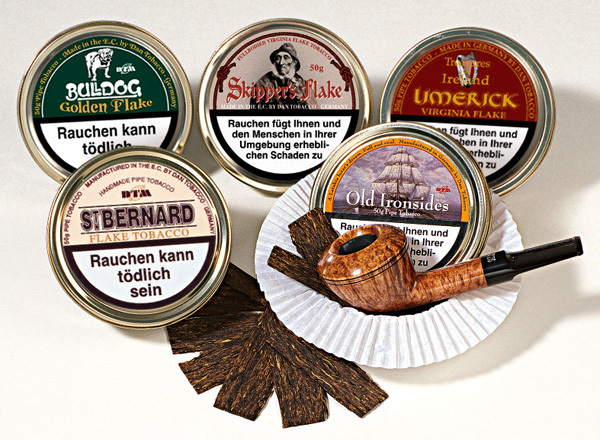 DTM DAN TOBACCO MANUFACTURING GMBH offer a great variety of pipe tobacco mixtures. Many pipe smokers have found joy in creating their own individual blends from plain tobacco varieties such as Virginia, Burley, Oriental, Black Cavendish or Latakia, or to modify custom blends for a more spicy or milder taste. DTM DAN TOBACCO MANUFACTURING GMBH offer a range of Blending Tobaccos to meet those demands. 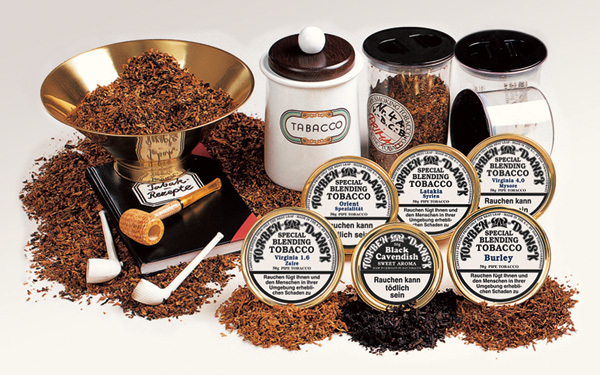 In many countries, the sale of “Private Label Blends” has a long tradition in the pipes and tobacco business mainly to diversify the shop’s assortment and, at the same time to increase customer loyalty. DTM DAN TOBACCO MANUFACTURING GMBH offers a huge variety of tobacco specialities for this purpose. 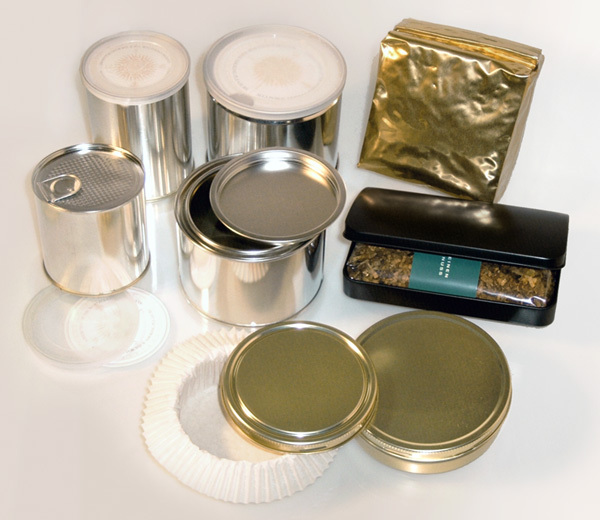 Please contact us for more information on the choice or creation of blends and on various types of packaging some of which are shown here.